Saturday the 24th of March starting at 9 am. Saturday the 19th of May starting at 9 am. Saturday the 13th of October starting at 9 am. Sunday the 11th of March starting at 12 pm. Sunday the 6th of May starting at 12 pm. Sunday the 2nd of September starting at 12 pm. Kobudo is open to all adult members and all juniors green belt and over. Saturday the 14th of April starting at 9 am. Saturday the 7th of July starting at 9 am. Saturday the 3rd of November starting at 9 am. Black belt training is open to all students currently training for a dan grading. These days will be at the Strood Leisure Centre. On the 15th of April, the association held a seminar at Medway Park Leisure Centre. There was a very good turnout with over 50 members from across the many clubs of the association. The association was honoured to have Hanshi Cosimo Costa travel from Sicily to teach. 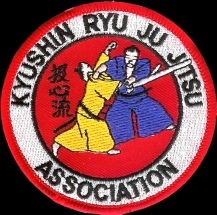 Sensei Jim Kirkham and Sensei Dave Haddell were also teaching. It was a thoroughly enjoyable day with lots of valuable knowledge being passed on. Below is a photo of the attendees. Several students from the West Sussex clubs took their gradings on the 18th of May. Sensei Jim Kerkham travelled down to grade the students and they all performed admirably. Below is a picture of the proud bunch. Congratulations to Senseni Sid Martin and Sensei Rod Cullen for passing their 4th Dan grading. They both worked very hard other the past few months preparing for their grading, and put in maximum effort on the day and earned their 4th Dan’s. Well done, your students are very proud of you.